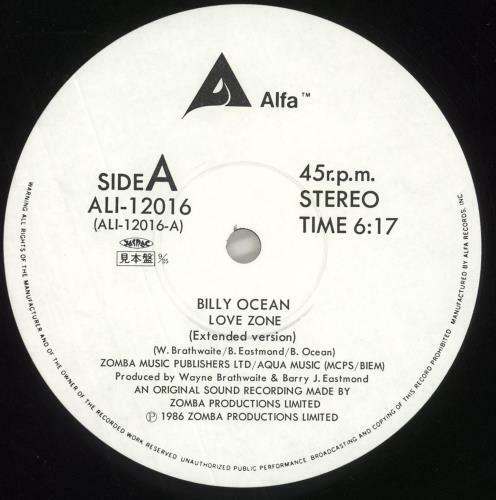 BILLY OCEAN Love Zone (1986 Japanese 3-track white title label promo sample vinyl 12" for the single, featuring the Extended Version, Instrumental and Album Version, promo stickered picture sleeve with lyric insert & green obi-strip. 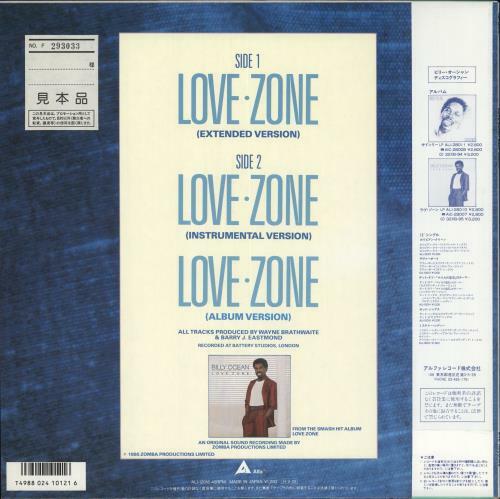 The sleeve & obi display minimal wear and the vinyl looks barely played ALI-12016). 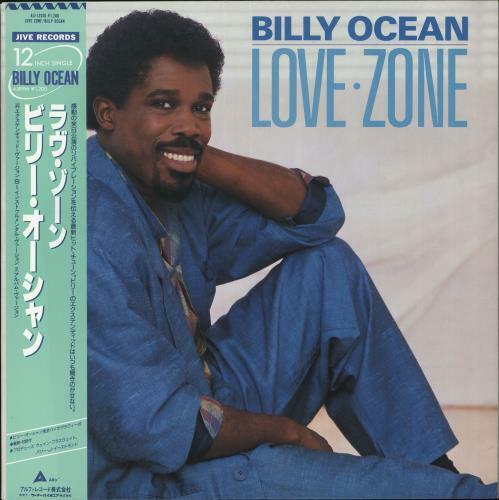 or visit our Billy Ocean image gallery.